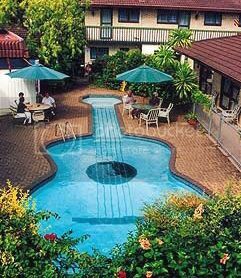 Swimming Pool shaped like a Guitar I found via Google. NEAT-O!!! I remember that last family reunion. Everyone seemed to have fun except me, and because me not being cooperative I bet Christian didn’t enjoy either…I never forget it. I somehow made him feel and look bad in front of them actually I guess. The thing is, I kind of really lingered to the words he said that he didn’t expect me to be like that – I felt, he couldn’t accept me. On the bright side, even if I had the worst day then I still went out when evening came had some drinks over the cousins’ pool. It’s funny, I was actually anticipating a real SWIMMING POOL with all the fancy stuffs, pool heat pump and all but it was just a kiddie pool and apparently it was meant for the kids! I must have enjoyed it better if there was a real swimming pool. It’s something we really need right now in this kind of weather here in our country.